Home ironing services is becoming inseparable part of out lives. We all know how busy life in big cities is and especially in London. Every one who ever had to iron any garment will say how difficult and frustrating it can be at times. Nevertheless, the most beautiful and valuable cloths are meant to be ironed. Our appearance and success, in so many ways, relays on our clothes. In my home country we have the saying ” people judge you by your clothes, but respect you for your knowledge”. Thus wearing expensive clothes is not a solution but wearing ironed clothes is a must. Please do not let your best opportunity, personal or professional, slide away only because you don’t like or can not do ironing. ANG London cleaning company Ltd. provides one of the best ironing services in Hampsead, N3, Islington, N1. If you think we can help you with our ironing services please give us a call. If you just require someone come around to your house to do your ironing then we proudly will provide our quality ironing services. 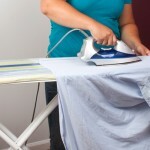 All of our ladies are experienced at ironing and will be happy to do all of the items you put out for them. To do so we will only need you to provide a good and stable ironing board and a reliable, preferably steam, iron. It shouldn’t be expensive one. Just watch out for deals in the major retailers as Debenhams, John Lewes or Currys for discount deals and grab one. The client should supply all the ironing equipment in full working condition. Maybe you need a bit of additional domestic cleaning please call us in advance to book the same person. Then we will simply add the additional hours to your regular bill. Weekly – minimum 2 hours per visit. ( one or more times a week). Biweekly – minimum 3 hours per visit.